Get more bang for your buck with this fantastic snack bundle! 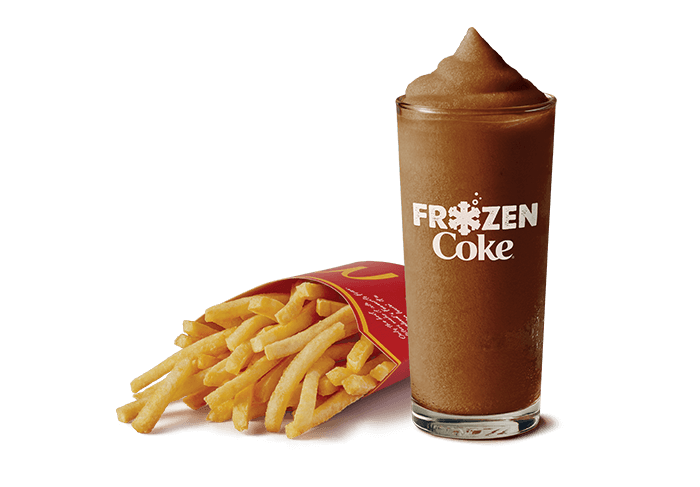 Just $3 will get you a medium Frozen Coke and medium fries! Snack-time - sorted! Available after 10.30am at participating restaurants for a limited time. Serving suggestion. ‘Frozen Coke’ is a trade mark of The Coca-Cola Company.